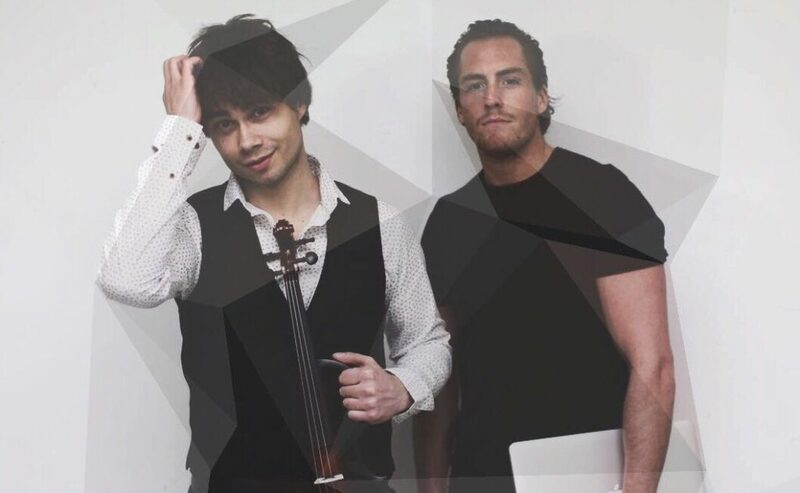 Music producer Philip Cecil and Alexander Rybak released the single “Looking My Way” Sunday, May 28th on the streaming services, and this is the “Week’s Single” on NPS Music. Alexander has said that he has long had the desire to make something modern, fun and fresh, and that Philip Cecil has given him this opportunity with this song. The combination with Alexander’s fool and vocal in an EDM wrapping a la Philip Cecil is proof that this collaboration has worked well, and not least to hide and EDM is a good match. The song is supercatchy and it can quickly become one of the summer’s plagues. The music video of the song, which you can see a little down on this page, was released on Friday, May 26th. We took a nice chat with Alexander and Philip Cecil about the song, their cooperation and plans ahead. Congratulations on the supercatchy song “Looking My Way”. Can you tell me a little about the process of the song and what it is about? A: It is primarily about cooperation and about supporting each other. Philip was threatening me as an EDM singer, and I threatened him as a producer. Plus, we both know my boyfriend, it’s fun. The text is about the fact that the best lady in the whole room has chosen to look at me of all the boys and how delicious it feels. This is in a way a “new sound” in the EDM context. Who could think that actually violin and EDM could work so well together. How did you get the idea to make this song together, and not least how did you meet each other? A: We should not brag on us to invent the wheel, and EDM violin I have done with both Disaster and Gaute Ormåsen to great success, but Philip inspired me to use hiding in a new way and instead of it People-inspired sounds sound much more jazzy out with Philip Cecil behind the wheel. P: It was very inspiring to work with such a talented and creative musician as Alexander. The fact that he had the belief that we could get some cool together motivated me to do my best. Philip Cecil, you are currently studying audio and music production at Noroff, and last year you won the award for best student work at school. Can you tell me about it, your musical background and who is Cecil Philip? It was very motivating to receive the award for best student work and see that hard work pays off. I was exposed to early-age music. My dad played mouth games for me every night to make me fall asleep. He even contributed to a few songs that you can listen to on my Soundcloud. Already like 6 years I sat down in front of the grand piano and my parents decided to start piano courses. After many years back and forth with piano lessons I took the matter in my own hands and started learning on my own.From then on I found out what songs I liked, and my music style began to take shape. With modern music production and new genres, I got my eyes on the new music and decided that this is something I want to do, hence the selection of studies and the launch of their own songs outside. For those who want to know who Philip Cecil is, I’m a happy boy with lots of energy. When I set a goal, I work hard to achieve it and do not give me until I’m 100% satisfied.I like to have many balls in the air at the same time, sometimes too many, so there are many songs that are not finished yet. Alexander, you are a multitalent who can literally play on many strings. It’s not the first time you’ve made music across genres either. How do you feel comfortable making music by mixing different genres and now this time EDM? Generally, I do everything from writing folklore, children’s music, DreamWorks songs to arranging for symphony orchestra and making cover versions of Eurovision songs. But the EDM genre is much more difficult than one would think, just because it’s so clean and simple, and every small amount of redundant sound can destroy the song. Many Norwegian DJs have tried to get me on songs, but with the exception of Rykkinfella and Kristoffer Tømmerbakke from Erik & Kriss, I have said no thanks in the last minute. With Philip, I heard an open sound, where there was room for experiments. Philip Cecil, maybe you are not so many who know that you are actually the cousin of Martin Danielle (CLMD) and that he is your musical mentor. Can you tell me about it and what Martin has added to your musical expression? I have been lucky to have had Martin as mentor in recent years. Despite having different sounds, he has guided me on the road. He has been good at giving feedback regarding the outputs I work with and otherwise have been a good supporter. 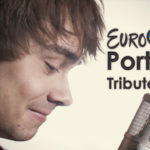 Alexander, after the ESC final, released a beautiful interpretation of the Portuguese winning song on YouTube, which has been very well received from far and near. 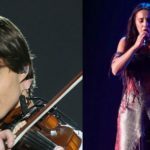 Why would you like to do this and will see you as a participant in the Norwegian grand prix final again – approaching 10 years ago you won the ESC with Fairytale? In fact, I made the video a month ago when Portugal was quite far down on the betting list. I just MUST show the song to everyone I knew and when half answered “We do not understand what it’s all about,” I made a little stunt and recorded a video with English text. I would wait to post it until the competition was finished, and the day after the final I suddenly had a cover-win of this year’s winner! Yes if I feel like I’m sitting on a song, meant to be at the Grand Prix, I’ll be there. Anniversary or not. What’s the funniest or most special thing you’ve experienced as far as artists? A: It must have been to hear “Fairytale” sung by Lars Lillo Stenberg. It even happens when I was in Moscow last year and stayed 4 hours in autograph queue. P: It must be all the new fans I’ve got after Alexander has posted pictures of us both on social media. 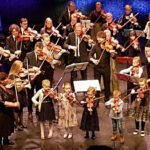 There is a lot of good Norwegian music given in the day – what do you like to listen to at the moment? A: I would rather say that there is a lot of good international music made by Norwegian artists. P: Our Norwegian DJs have helped create the modern American sound, and that is a freaky fat. My personal favorites are “Breathe” with SEEB and “Sing Me To Sleep” with Alan Walker, as they actually dare to have outypical melodic chords in the song. 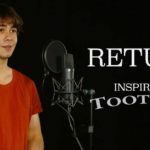 Do you have any musical models or inspirational sources? A: I’m an entertainer, so my idols will always be Gene Kelly, Michael Jackson, Robbie Williams and Elvis. P: I often inspire artists and producers like Martin Garrix, Broiler and Matoma. What other musical plans do you have in 2017 – is there an album on time (Alexander), are there more singles from you together, and are there concerts, festivals to come? A: I do not make more albums, I like to publish one and a song on YouTube. It can be a classic piece, a pop song, a collaboration with Philip Cecil or just a cover song, but I will ALWAYS have something visual to my songs, and maybe a music video. Otherwise, I’m keen to play Ole Bull on Ørje at the Swedish border together with Dennis Storhøi in the “Soot” game, and make my own musical based on my book and CDs about “Trolle”. P: My plans are to keep working hard to reach my goals and dreams.